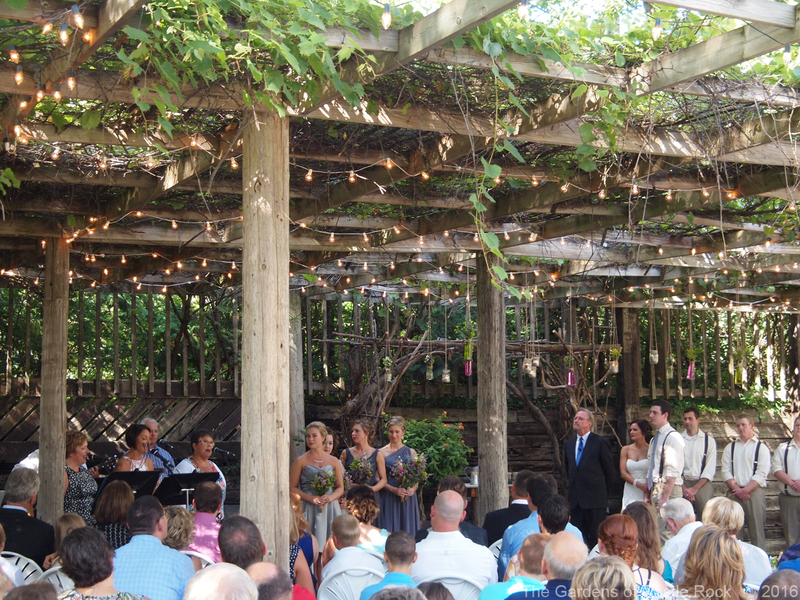 Surefire elements of a timeless wedding ceremony…. Timeless… the wedding veil and black tuxes. Your wedding day is arguably the single most memorable day of your life. It’s a day you will reminisce about for decades to come – the details of which will likely be passed on in words, pictures and videos for generations. (But no pressure, right?!) 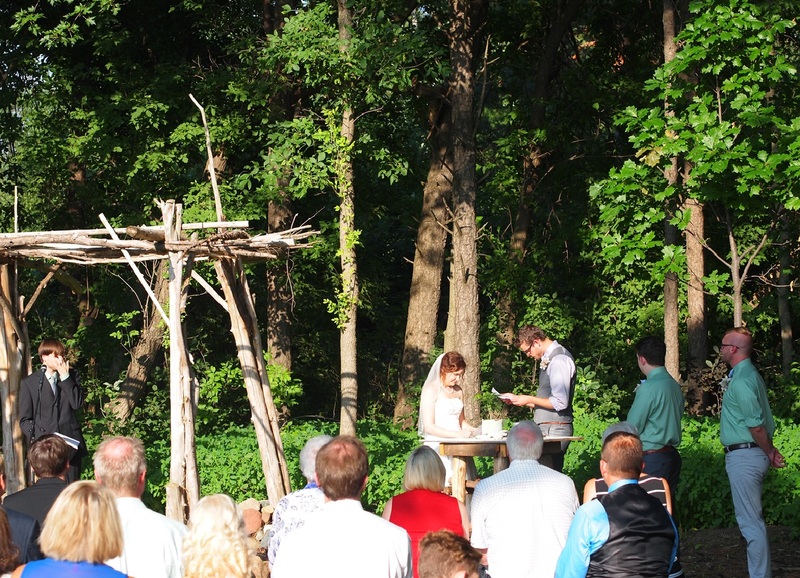 It’s no wonder most couples feel overwhelmed when it comes to planning their perfect day. So what are some surefire elements of a timeless wedding ceremony that won’t leave you cringing in 5…10…50 years? Let’s take a look! • Go for the gold: When you think of gold you probably think of glitz and glam but when you consider incorporating this color into your wedding palate do not overlook its innate timelessness. Whether it’s front and center in your ceremony (bridesmaid dresses) or woven throughout your ceremony in more subtle ways (candelabras, programs…) you can be certain that regardless of the season and your budget you can’t go wrong with this metallic touch. Sharing hand written vows with each other. 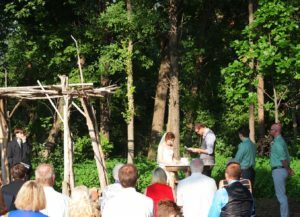 • Vows: Perhaps you prefer traditional wedding vows but be careful of defaulting to them because they’re, well…traditional. 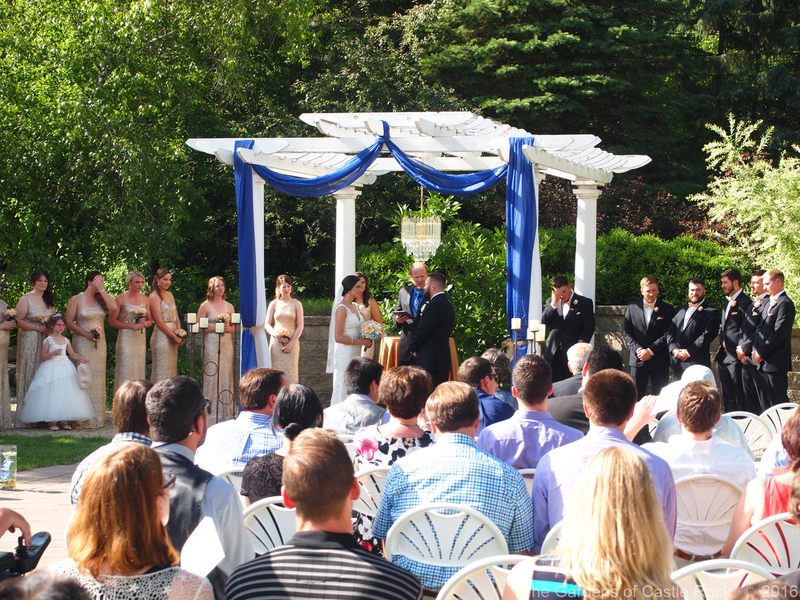 Consider searching online for ideas or writing you own vows. The ones that will stand the test of time are the ones that hold the most meaning to you as the couple. 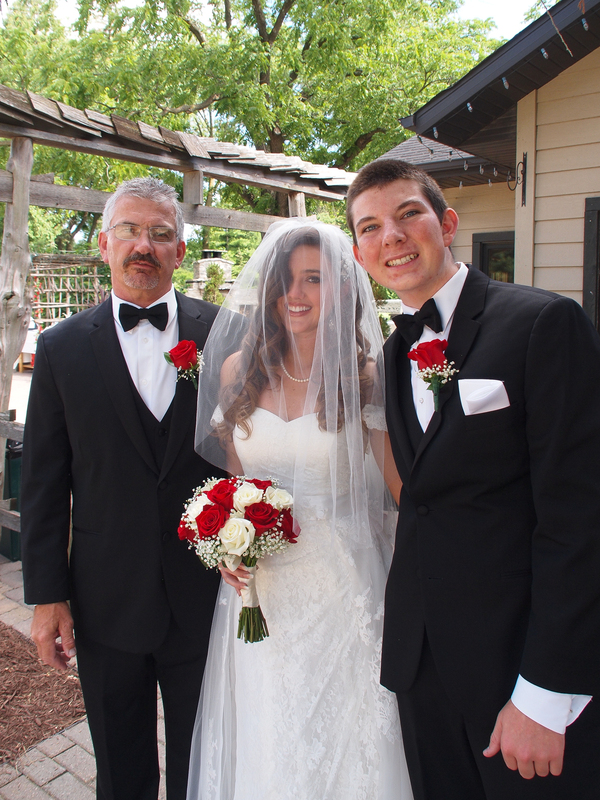 • Music: Don’t be complacent and settle for cheesy wedding music sung by an equally cheesy wedding singer. Do you prefer a wedding score rich in tradition? Do you want to incorporate music that is unique to your love story? 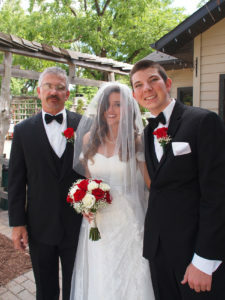 Do you have a talented musician in your family that would do you the honor of playing in your wedding? Choose music selections and presentation that you both find personal and meaningful. Special music by special people… mothers of the bride and groom. • The wedding veil: Dating back to ancient times, the veil is a cornerstone of the bride’s wedding attire. Historically, it is attributed to keeping away evil spirits, symbolizing chastity and modesty and helping to facilitate an arranged marriage ceremony (so the groom doesn’t change his mind if he doesn’t like what he sees!) In modern times, however, a veil worn over a bride’s face or behind her head adds a elegant touch to her stunning dress and frames her glowing countenance. • Flower petal aisle: Much like a veil, the flower petal aisle was once thought to ward off evil spirits. Today, however, it is an endearing prelude to the bride’s grand entrance. The petals are either spread before the ceremony or a flower girl walks down the aisle ahead of the bride dropping petals from her basket. 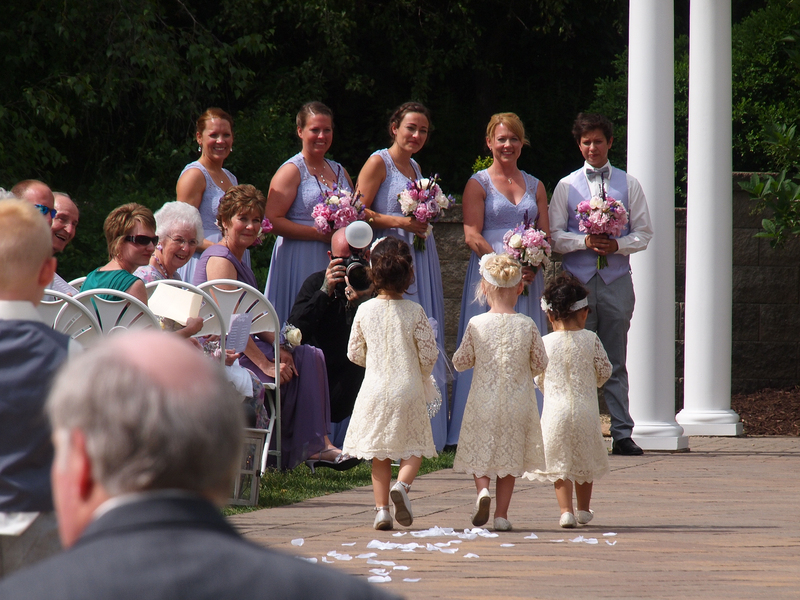 Flower girls sprinkling the aisle with beautiful flowers. borrowed and blue item is a great way to honor loved ones or honor the memory of loved ones on your big day. • The black tux: What could be more classic or stunning than the black tuxedo? It’s difficult to imagine looking back many years from now and wincing at this sophisticated choice! • Matching bridesmaid dresses: Although the trend of mismatched bridesmaid dresses is on the upswing most trends are eventually ushered out by a shift back to tradition and timelessness. Sticking to your Mom’s and Grandma’s idea of matching bridesmaid dresses will underlie your wedding’s timeless flair. • Floral and fabric aisle markers: When your guests arrive at the ceremony greet them with a stunning floral pathway up and down the main aisle. 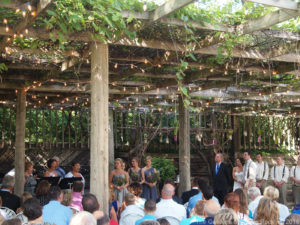 Consider draping fabric between each row-end floral display as well. Then seat guests from the outside of each seat section to allow for a more controlled flow of traffic. Both of these elements add a grand and graceful backdrop to the main event – you!